An friend who is expecting asked me if I would knit her a hat for the newborn she is soon to bring home from hospital. Is that not the sweetest request ever? 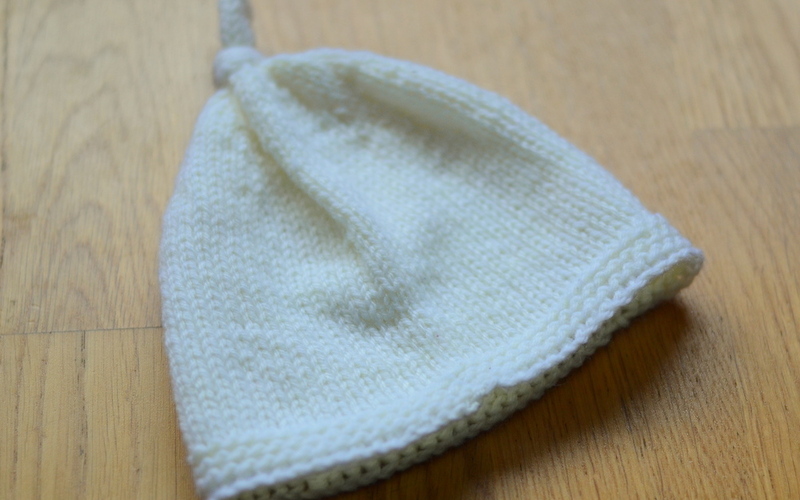 I mean, what a pleasure and what a responsibility to knit a babies first hat, the one they will make one a most momentous journey wearing. I thought I'd better make three so she had a choice and even though I've brought two average sized newborns home myself I wasn't sure exactly how small they should be. I have feeling the white mock cabled hat might be the most useful as it's really stretchy so should last a while. It of course took much longer as it's knitted with 4 ply yarn and required considerable footering about with 5 double pointed needles. I hope they'll see you well Baby Tennant.